You are here: Home / Grace on Parade / Come Lord Jesus! You have a part in determining when Christ returns. There’s been a lot of bad news lately. Are you tired of it yet? I am. Every day, the news seems to get worse and worse. Political corruption. The systematic beheading of children in Iraq. 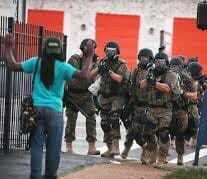 Senseless violence in Ferguson, Missouri that is then twisted by news media sources who hold hidden agendas. The sounds of war reminiscent of the beginning conflicts of World War One. One need only to scroll down a Facebook newsfeed to read tell-alls and true confessions of deviant behaviors. Youtube videos tell of Christians and conservatives getting targeted for their beliefs and values. One woman who started a non-profit organization to bring about change in our nation’s voting system, told how the FBI demanded to see every Facebook post and Tweet she had ever written. Huh? It’s getting to be a scary world. As Anne Murray once sang in a song, I sure could use a little good news tonight. Why is Jesus waiting so long before He comes back to claim His own? The New Testament makes His second coming sound like it was just around the corner from the time He left after His resurrection. Why the 2000 year wait? Sure, I understand that God is being patient, not wanting that any should perish. Yet as the world waits and waits for people to realize the saving grace of Christ, a whole new generation steps forward to come up with a whole new set of evil and corruption. As Jesus once said, when he comes back, will he find any faith on the earth (Luke 18:8)? None of us knows the exact time Jesus will return. In spite of the false prophets throughout the centuries who have tried every which way to read the signs of the times, none of us really know. But – here’s the surprise – we can have a part in determining when that glorious, long awaited moment will happen. Really? How? And if that’s true, bring it on. I’m ready to go to the place God has prepared for me. Read those verses again. If I want the Lord to come more quickly, my holy and godly lifestyle will move up the date of His appearing. I don’t quite know how that works. But when I hear about the moral decay and the downright evil happenings in my world, my reaction should not be one of fear. It should not be one of apathy or resignation. 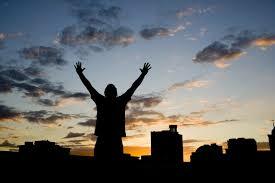 My reaction should be to dig my heels in deeper and determine even more to live the way God wants me to live. I’ll need to be more determined to read His Word so I know how to live, to let go of worldly pleasures, and to be more intentional about my good deeds and my words that will help and not hinder others from entering the Kingdom of God. How will I know if I’m making progress? The answer to that is found in these verses too. The more you live for Christ, the more you will look forward to the day of God. The more you cling to Jesus, the more you will let go of the world and its ways. That’s the way it ought to be. If you are a Christ-follower, Jesus calls you to continually loosen your grip on the things of this earth – lifestyles, possessions, earthly relationships, worldly ambitions, human indulgences. Make Him first. And if you find yourself longing more and more for that Other Land, then you are doing something right. Best of all, your efforts added to the efforts of your fellow believers will speed the coming of Christ. Preach it sister! Great post. Thanks for sharing! Thanks! I’m glad it resonated with you, Tom. Maranatha!